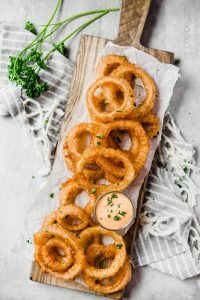 “Easy, completely paleo, and allergy-friendly deep fried onion rings that you can make at home. 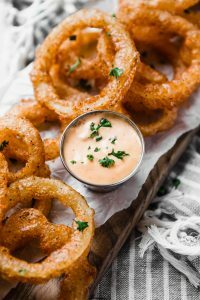 These are a great appetizer for a football game or to serve along burgers at a summer BBQ! 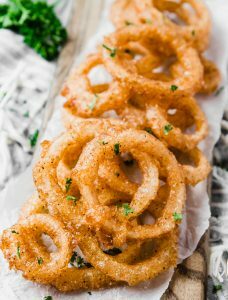 Peel and slice onion into ¼ inch thick rings. Lay out on paper towels to absorb some of the natural moisture. 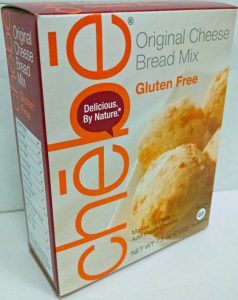 Pour 1 cup of dry Chebe Garlic Onion Breadstick mix into a large bowl. Add in 1 tsp salt, 1 tsp pepper, and 1 tsp paprika. Whisk all dry ingredients together. In a separate bowl, mix together the egg whites and club soda. Add the wet ingredients to the dry ingredients and whisk really well. Try to get as many lumps out as possible. Pour the remaining dry Chebe mix onto a large dinner plate. Add in an additional ½ teaspoon of salt and ½ teaspoon of pepper. Mix together with a fork. This will be used as a dry dip before it goes into the wet batter. Heat oil to a temperature of at least 375F. Pat dry the onion rings one more time. Dip into the dry ingredients. Shake off excess. 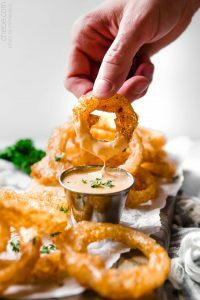 Using a fork, dip the onion rings into the wet batter. Fully coat and then let the excess drip off. Drop into the hot oil. Oil should be hot enough that they bubble right away and float to the top. Let cook for about 1 minute before flipping. Cook another 1 minute or so. Remove from oil. I like to use a long pair of tongs for this. Try to drip as much oil off as possible before placing on paper towels. Don't overlap. 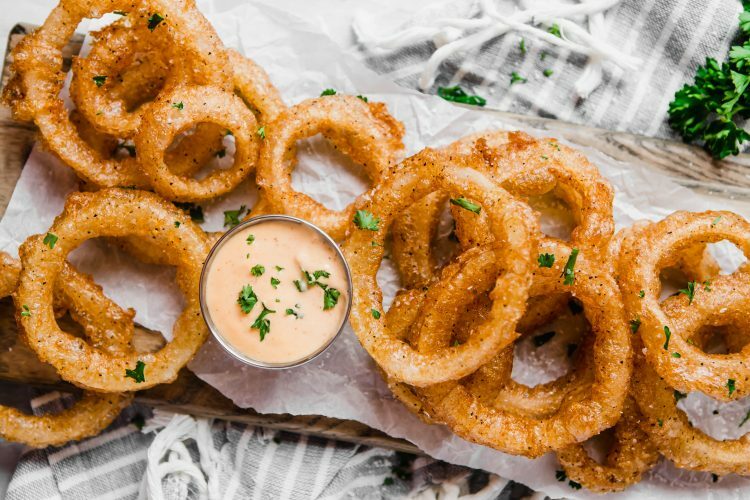 Season hot onion rings with salt. It's OK if the first couple don't work. Do the broken rings or small ones first until you get the hang of it and to make sure the oil is hot enough. 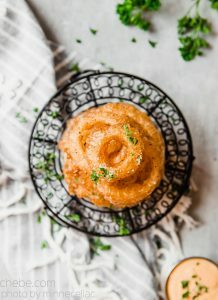 You can drop a small amount of batter into the oil and if it starts bubbling right away then it's ready. I'd suggest you wear an apron for this job. I've never had a problem with splashing oil, but if it gets on your clothes it's REALLY difficult to get out. 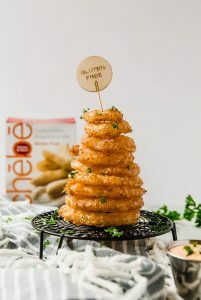 If you can't find the garlic onion breadstick mix, don't fret. 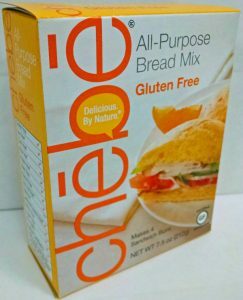 You can use Chebe Original Cheese Bread Mix or All-Purpose Bread Mix. Just add in another teaspoon of garlic powder to the wet mix.